Cover Screens versus Display Panels – What’s the Difference? News broke early this morning from Tokyo that display panel makers were set to ramp up production of 4.7″ displays for Apple’s upcoming iPhone. I have come across some confusing posts from investors, who are not sure what this means to their GTAT investment. Does this mean someone else is going to make the displays on the next iPhone? Well the answer is you need to understand the difference between a sapphire cover and a display panel? One of the major disconnects is that sapphire cover screens are often referred to as sapphire displays so I could understand why this terminology could confuse people. GT Advanced Technology is reportedly working on sapphire covers for Apple’s 4.7″ and 5.5″ iPhone 6 models. 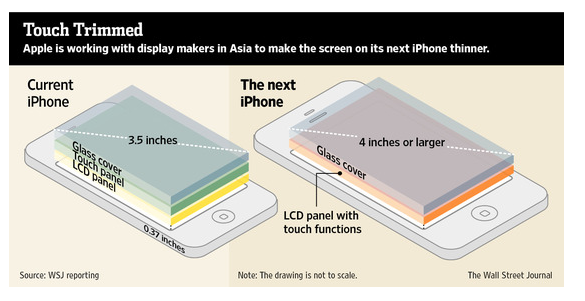 I have read comments from JP Morgan that the 5.5″ sapphire covered iPhone is being tested within the supply chain. I have read other comments from Barclays that they expect sapphire laminate cover screens to show up on mobile and tablet screens in the near future. We read reports in January that Foxconn did a trial assembly run of 100 4.7″ sapphire covered iPhones. The latest news from Tokyo this morning indicated that the production of the 5.5″ display panel could be months behind the 4.7″ panel. If connecting the dots was this simple I would argue that the 4.7″ iPhone 6 will show up in June and the 5.5″ iPhone 6 will arrive in September because length of the reported delay. The only problem with making this leap is that the 5.5″ display “delay” is media driven and the company that knows their release schedule is Apple. The best way I could think of to show the difference between a iPhone cover and the display panel is by showing everyone my beloved iPhone 4s. 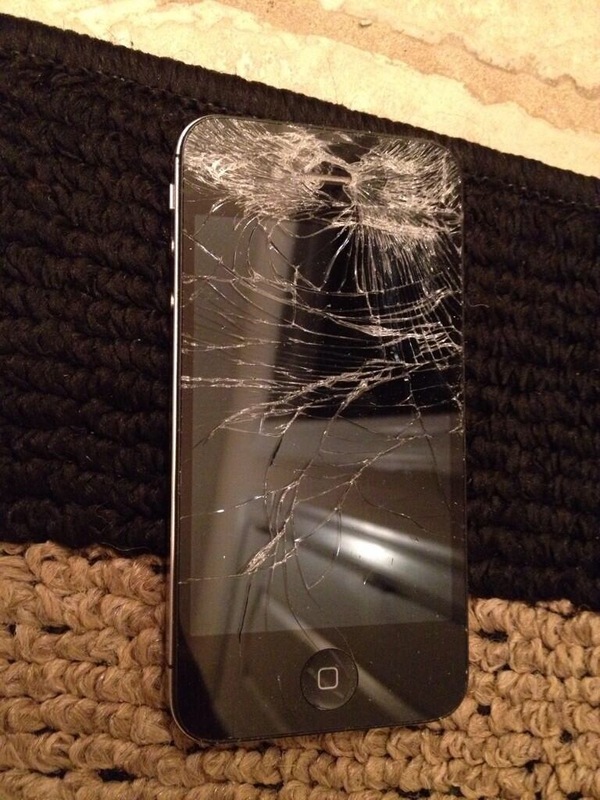 About 2 weeks ago my phone was dropped in the snow and there was a near tragic incident. As you can see from the image below, my Gorilla Glass cover screen got shattered and I believe the culprit was a slow moving motor vehicle that ran over my 2.5 year old iPhone 4s. What was remarkable about the whole thing is my device still worked. I like most other iPhone owners dumped $50+ into a protective case for my iPhone 4s to protect the screen. The protective case was no more damaged than it was previously and my iPhone 4s display panel was unharmed! I could still use the touchscreen and view the phone’s display but the issue I had was that it was nearly impossible to decipher what was underneath my shattered Gorilla Glass cover screen. I did purchase a used iPhone 4s and can’t wait to get my hands on a sapphire covered iPhone 6 sometime between June and September! Below is an image of the front of an iPhone 5 that breaks down the different layers including LCD Panel, Touch Panel and lastly the cover. Display panels are not the same as cover screens. I understand that sometimes the term “sapphire displays” are used interchangeably with “sapphire cover screens” so it makes sense why some people were spooked by today’s display news. I spend a lot of my time trying to figure out where things are going and how did we get there. On May 2, 2013 GT Advanced Technologies (GTAT) CEO Thomas Gutierrez made a colorful remark during GTAT’s Q1 2013 conference call during the analysts Q&A section.